Stretching out from Nashville to the southeast is Miro Meadows, a suburban neighborhood. This diverse housing market offers something for everybody with prices that are hard to beat. Proximity is everything in this widespread neighborhood. With its edges reaching just miles from downtown Nashville and stretching south toward Antioch, you’ll be within minutes from both modern day conveniences like groceries and retail and the trendy local spots that make Nashville unique. Planning to get away often? Miro Meadows backs right up to Nashville International, making getting out of town a breeze too. 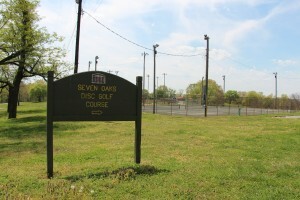 Stretching out from Nashville to the southeast is Miro Meadows, a suburban neighborhood. This diverse housing market offers something for everybody with prices that are hard to beat. Proximity is everything in this widespread neighborhood. With its edges reaching just miles from downtown Nashville and stretching south toward Antioch, you’ll be within minutes from both modern day conveniences like groceries and retail and the trendy local spots that make Nashville unique. Planning to get away often? Miro Meadows backs right up to Nashville International, making getting out of town a breeze too.